The Core Project is an employability programme specifically designed for young people aged 16-24, who are not in employment, education or training and live in North Belfast. CORE Project is part funded through the Northern Ireland European Social Funded 2014 – 2020 and the Department for the Economy. The Core Project: The Core Project is an employability programme specifically designed for young people aged 16-24, who are not in employment, education or training and live in North Belfast. 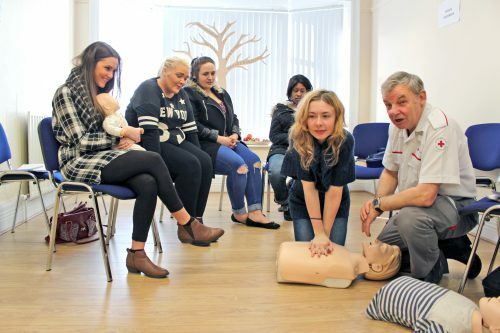 Young people participating in the programme receive a range of support that will help them overcome personal barriers and move into work or further education and training. Young people are supported by a team of six mentors who work on a one to one basis with each young person ensuring that the programme is needs led and tailored around their hopes. Every young person joining the programme can expect to have an action plan written especially for them that will guide them onto a positive future. In addition to the mentor team the programme has a range of other supports for the young people including training, employer liaison and a service to help young people transfer into further education. The project also has access to a wide range of support services in the community such as childcare, counselling, benefits advice.